as information systems connect with an increasing number of operations and services. 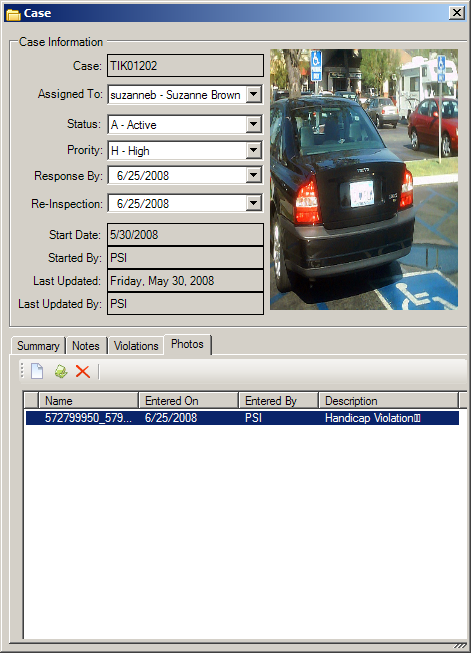 Issuing and tracking parking citations has never before been so easy. The ability to issue citations digitally can be described as “liberating.” TicketTrack™ interfaces with our other systems, furthering the level of productivity achievable with the use of our products. Maximize revenue—Cover more ground. Feel confident in knowing that information gathered in the field is instantly available for batch processing. Time is a critical element in any muni­cipal function; we have thus increased the level of efficiency attainable. Minimize costs—Automation and Electronic Issuance reduce the costs associated with issuing citations. Accurate tracking and reporting—Can’t read that handwriting? Worry no more. With digital entry on handheld devices capable of handwriting recognition, you can be sure that informa­tion is entered most accurately. Reporting is a click or two away. Zip right through it. 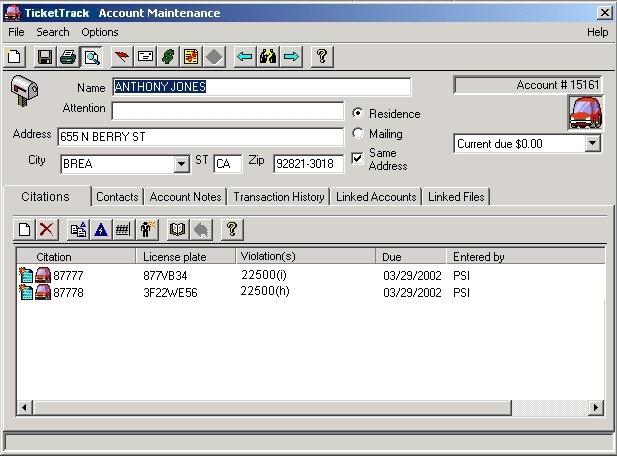 TicketTrack™ uses the .NET Compact Framework 2.0, allowing for connections with mobile devices in the field. This is most important in today’s connected world. Payment Processing—Integration with our IVR and Web Services. Check out the screenshots (above); the user interface is intuitive and logically flowing. Careful attention to design has resulted in an efficient and enjoyable user experience. On the remote end, simplicity is key: Logically flowing sequences on the handheld device guide the user along the path to citational climax. Our systems are designed to run on reasonably new Windows® systems. An ODBC compliant database system is required. Often, this means a Windows® 2003 server with MS Sql.